Strong Made Simple is hiking! 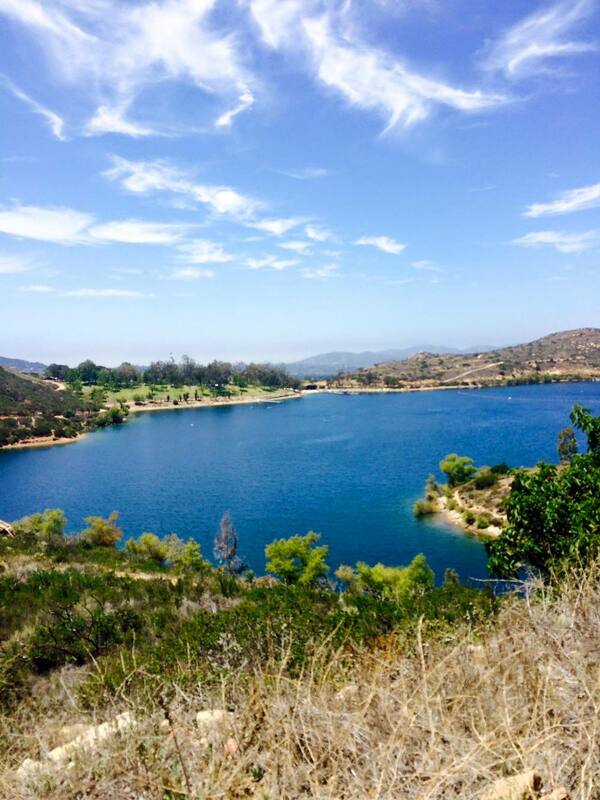 On Saturday morning at 8:30AM we will be starting the hike up Mt. Woodson. It is 8 miles going and coming back. The trail is steadily inclined with a few patches of rocky switch backs. Be sure to pack lots of water due to the forecast predicting it being warm. You will have to pay for parking a the head of the trail. Have $5 to $10 cash prepared to take care of payment. Lastly, don't for get your camera! 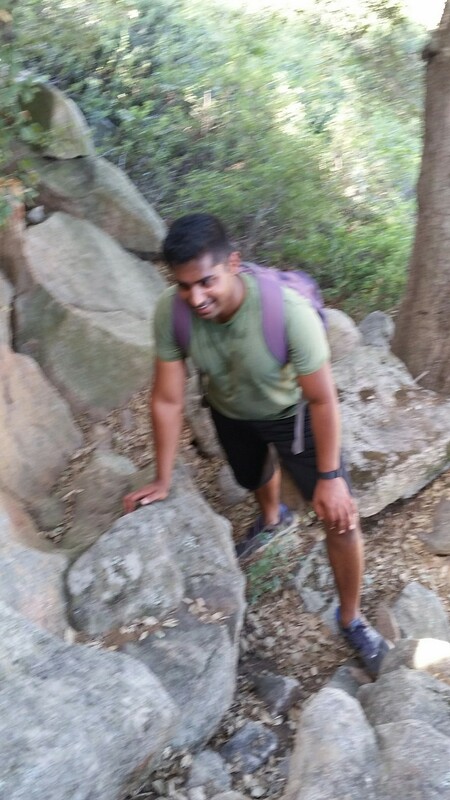 Potato Chip Rock is at the end of the hike! Strong Made Simple personal training clients were happy to take a break and check out the view of the clouds from above on Mt. Woodson. It was a beautiful day. Too bad you can't swim in this lake. After a great hike we were able to scramble out on to the potato chip rock and get a nice pic of the Strong Made Simple hikers. I spotted a tarantula on the trail to Mt. Woodson! 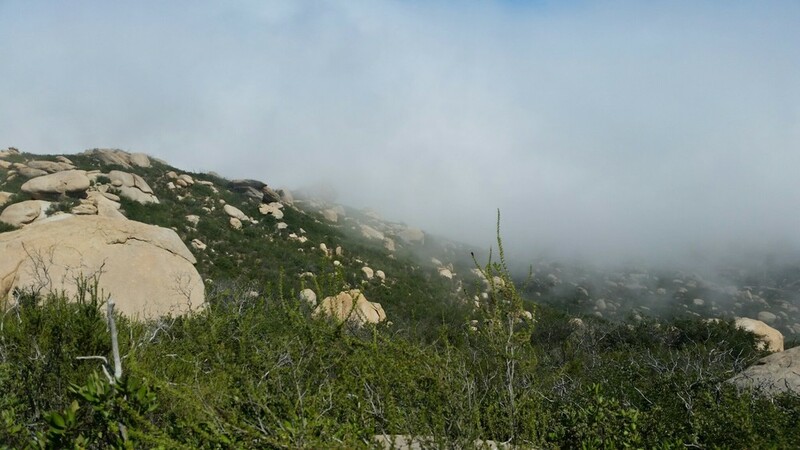 Hiking through these clouds on Mt. Woodson was really cool. It was a great break from the sun and a good reason to start early. Stuck between a rock and another rock. Anthony had to get in there too. Personal trainer, Brian, being a goober for a photo during a rest break. 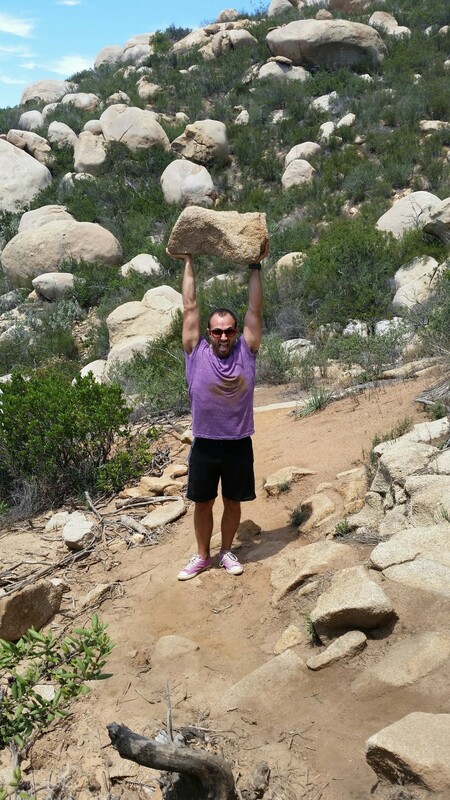 Personal Trainer, Anthony, is always happy hiking along around San Diego. You don't need a barbell to overhead press! This dog was plenty happy to drink Monica's entire bottle of water. Workout with your personal trainer Sunday!